A letter from our May issue. I read with great interest your four feature articles that pertained to life in prison (‘The survival secrets of solitaries’, ‘The emperor’s new clothes?’, ‘Rehabilitation – writing a new story’ and ‘Understanding the experience of imprisonment’, March 2016). What I found was missing from these pieces was a mention of the struggles endured by lesbian, gay, bisexual and transgender (LGBT) prisoners. Through this exclusion, these pieces continue to cast a shadow over LGBT prisoners and their experiences within prison. Unfortunately, despite being disproportionately overrepresented within the criminal justice system, LGBT prisoners and their physical, psychological and social health needs continue to be ‘hidden’ and ‘overlooked’ (Carr, et al., 2016). Conducting research with or providing psychological services to LGBT prisoners is exceptionally difficult work. Sexual orientation and gender identity are terms that have only recently received attention within the UK criminal justice system, with prisons in England and Wales beginning data collection in 2011 (Dunn, 2013). Many have questioned the data collection methods of these prisons as being insensitive and not particularly effective (Dunn, 2013). There are many reasons why individuals may not wish to disclose their sexual orientation or gender identity while in prison. Incidents of homophobia, biphobia and, especially, transphobia are common. Many individuals fear being discriminated against and intimidated, and being the victims of physical and sexual violence. Some individuals fear losing support from family, friends or their communities (Dunn, 2013). Simply put: LGBT people don’t feel safe in prison. As a result, many of the physical, psychological and social health needs of LGBT prisoners are neglected. Recent research has shown that LGBT people face more health inequities when compared with heterosexuals (Institute of Medicine, 2011). For instance, LGBT people exhibit higher rates of chronic illnesses, like cardiovascular disease and certain forms of cancer, as well as mental health concerns, like depression, anxiety and suicide. Researchers have called for more primary research to better understand the experiences as well as health and service needs of LGBT prisoners, especially pertaining to psychological wellbeing (Carr et al., 2016). Additional rigorous secondary and tertiary research is also needed to examine important moderators and mediators involved in constructing theoretically designed health interventions that are both sensitive to the needs of LGBT prisoners and effective. In a sense, we need more research to see where and how we can help in the best possible manner given current environmental and social constraints. The health needs of LGBT prisoners are real and deserve attention. Focused research and effective health services are desperately needed not only while LGBT people remain in prison, but also after their release. Making their experiences and needs visible is one important step that can be taken to ensure such empirical work takes place. Carr, N., McAlister, S. & Serisier, T. (2016). Out on the inside. 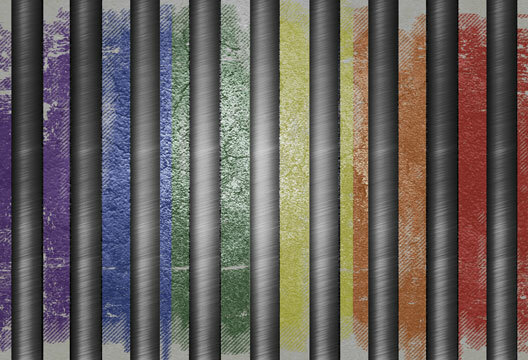 The rights, experiences and needs of LGBT people in prison. Dublin: Irish Penal Reform Trust. Dunn, P. (2013). Slipping off the equalities agenda? Work with LGBT prisoners. Prison Service Journal, 206, 3–10. Institute of Medicine (2011). The health of lesbian, gay, bisexual, and transgender people. Washington, DC: The National Academies Press.